people with severe disabilities to communicate. 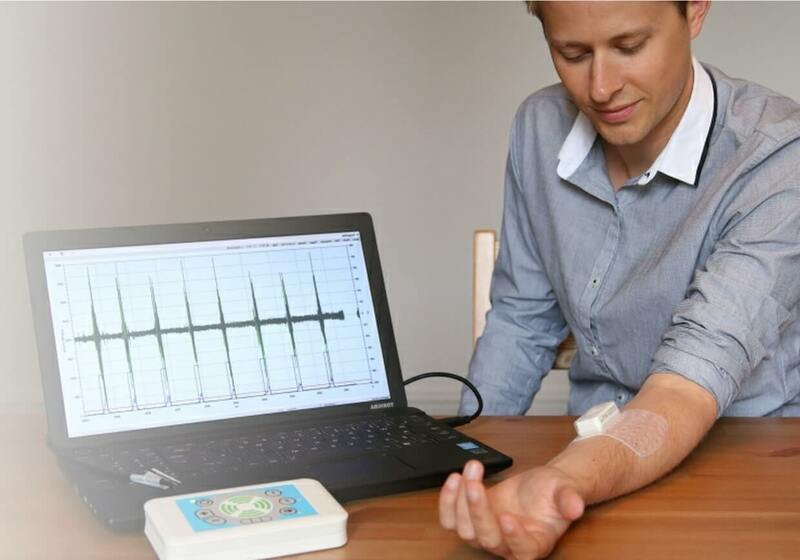 Emego will enable communication through the twitch of a muscle. Designed for people with severe disabilities such as motor neuron disease (MND), spinal muscular atrophy, spinal cord injury and brain stem injury. 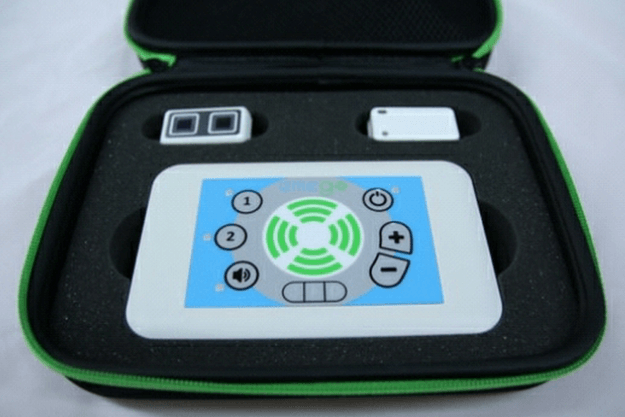 Emego is helping people to use their voice through AAC software and environmental control. Easy to set up and works like a standard switch. Available now. 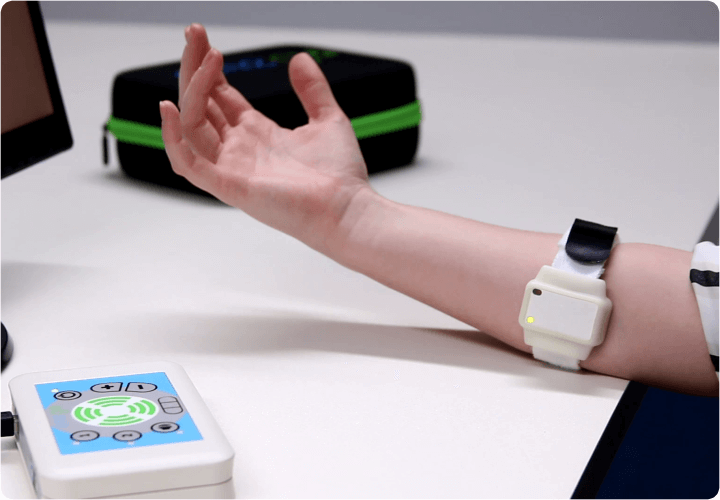 Emego is an innovative new electromyography (EMG) switch that uses the very small electrical signals from limited muscle activity to wirelessly trigger electronic assistive technology equipment (eAT). 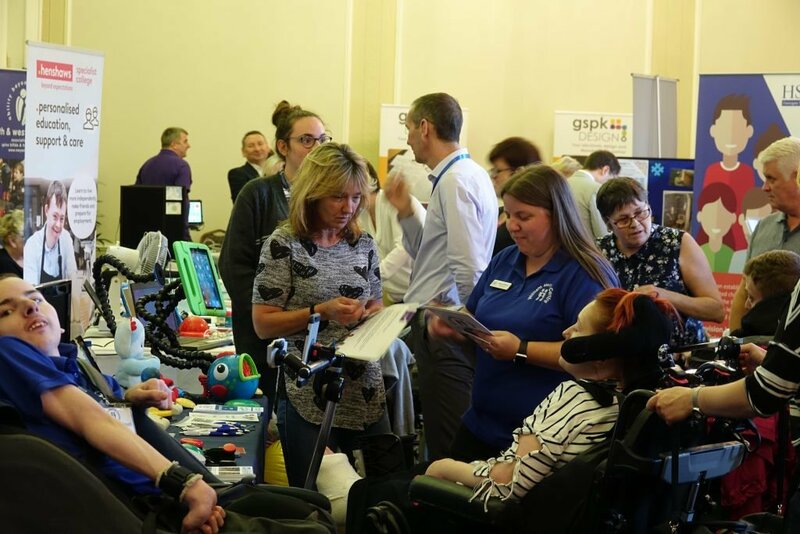 Designed to be used by people with severe disabilities to give them greater independence and control over their communication (AAC) & environmental control (EC) equipment needs. This Class I medical device uses dry sensing technology which means no more uncomfortable skin preparation or gels and the Bluetooth LE wireless operation means Emego is truly wireless. 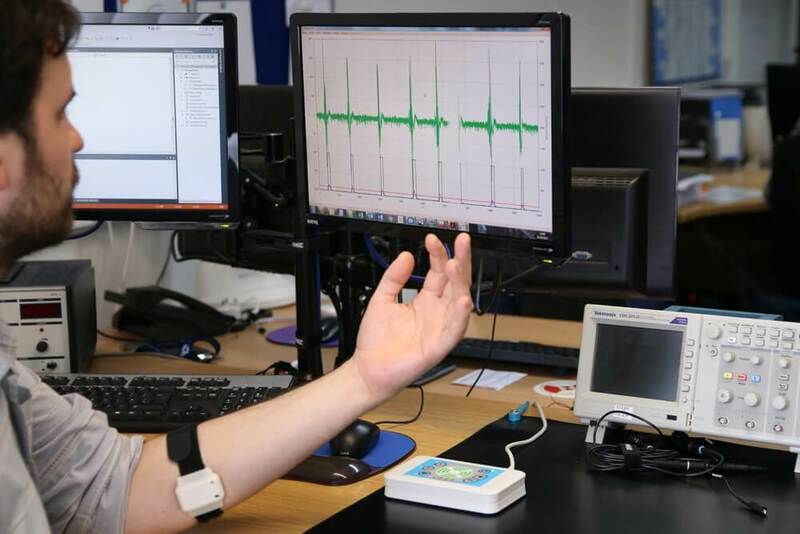 Emego is body worn, small, light and can be used over extended periods, suitable for applications to detect muscle signals around the jaw, eye, and limbs. Emego, designed and manufactured in the UK by GSPK Design, is developed to easily replace the switch. Accurately and repeatedly detecting a trigger from small muscle movement converting this artefact to a switching signal to interface with existing (eAT) equipment through a wireless connection to the base unit. 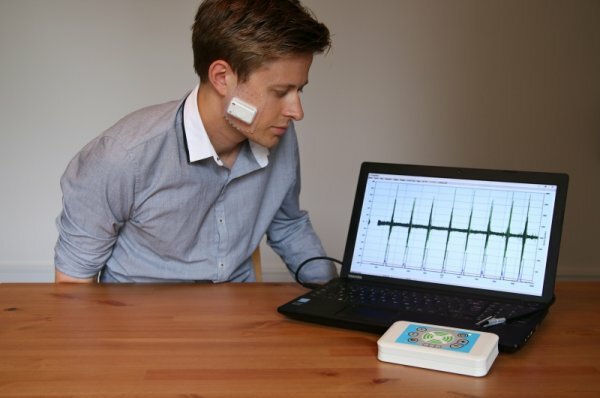 Emego is simple to use and easy to set up, the body sensor can be attached to a wide range of muscles to detect signals from fingers and toes to facial eye muscles or a jaw clench. Being a fully compliant Class I Medical Device means it is safe to use all over the body. Simply activating the muscle, even slightly, will activate the patient sensor of the Emego to transmit a signal wirelessly up to 10 Metres to a small base station that interfaces to existing EC or AAC equipment via a standard 3.5mm phono jack. 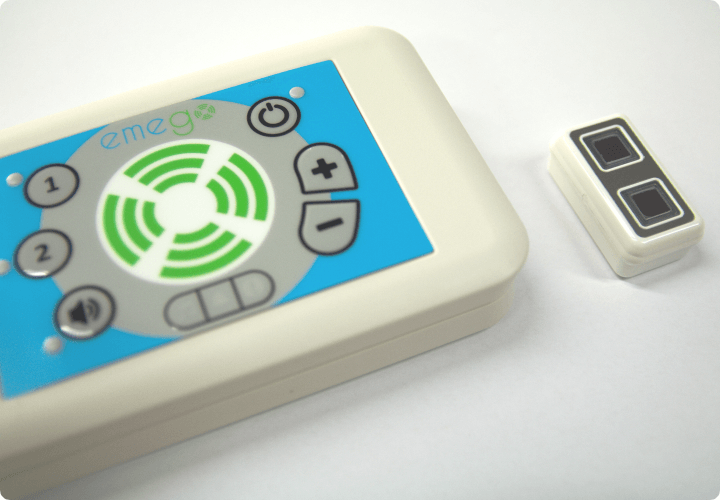 The Patient sensor can be charged via inductive charging allowing Emego to be used as a stand-alone or accompany an existing switching method. Emego was developed in conjunction with real users. A series of patient trials are continuing to be performed by Barnsley Hospital’s Assistive Technology Team. These trials have been invaluable in creating one of the most accurate and reliable assistive switches available today.